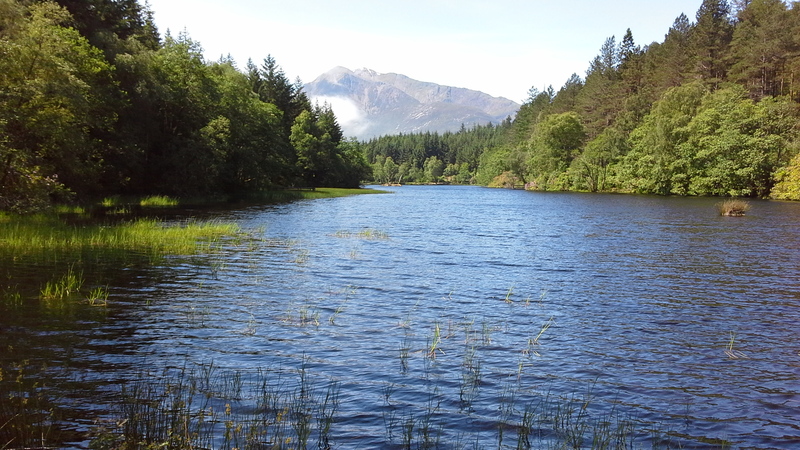 A loch within a forest near Glencoe. It’s not a book and it’s not a website, or even a single location. I’ve been on holiday for the past week and as I usually do, I tour the area extensively. Being on holiday is a good source of resource for readers and writers as I aim to highlight in this post. What specific resources are there? 1. As a reader you might carry a notebook and pen. If you’re a writer you should carry a notebook and pen. 2. Keep your camera handy. Seeing wonderful sights is all part of being on holiday, but to remember them clearly, and the ideas they provoked – take some pictures. 3. Tourist Information. The classic holiday source for information whether at home or away. Maps, pamphlets, locations of places of interest, books and of course the staff. Talk to people who know the area. 4. Museums of whatever size or type usually have a selection of books and leaflets. In those locations there are usually maps and guides to the local area. 5. Accommodation can be a great source. I tend these days to hire self-catering accommodation and once again I’m living in an old stone cottage. A local village, a forest, mountains and a loch all within a few minutes walk make this an exceptional location, but you can find inspiration in any area if you look. 6. Open eyes, open mind and active imagination are all at our disposal. It doesn’t matter if we are continuing with our regular life or if we are on holiday – we will find inspiration if we are open to it and look for it. Time to go now, because I can sense a day of inspiration calling to me. I’ll be on blog patrol as soon as I’m back in my usual writing location. Thank you for dropping by.